Experience Kyudo, Japan’s Spiritual Version of Archery. Uotoshi Ryokan in Shibu-Yudanaka Onsen features an archery range and offers regular classes in Kyudo, Japanese archery. Kyudo is an amalgamation of Western archery and Japan's Zen spirit. 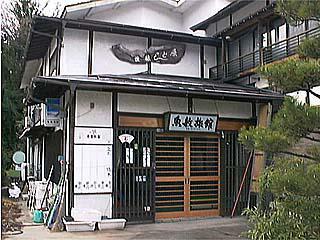 Uotoshi Ryokan in Yamanouchi Town's Shibu-Yudanaka Onsen has an archery range in the back of the inn and the proprietor, Miyasaka-san, offers regular lessons in kyudo. A little archery with your onsen bath? Only here in Nagano! Wednesdays 20:30-21:30 and by appointment. Offered Wednesdays and by appointment. Miyasaka-san speaks basic English. Additional days / times as well as longer, more thorough training available by appointment. 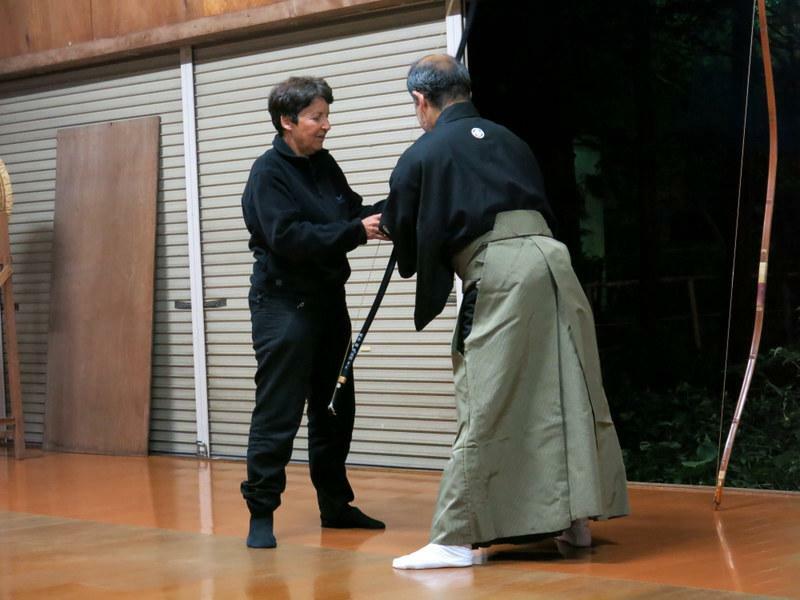 Uotoshi Ryokan's proprietor, Miyasaka-san, will explain about Japanese archery and the spirit of Zen Buddhism. 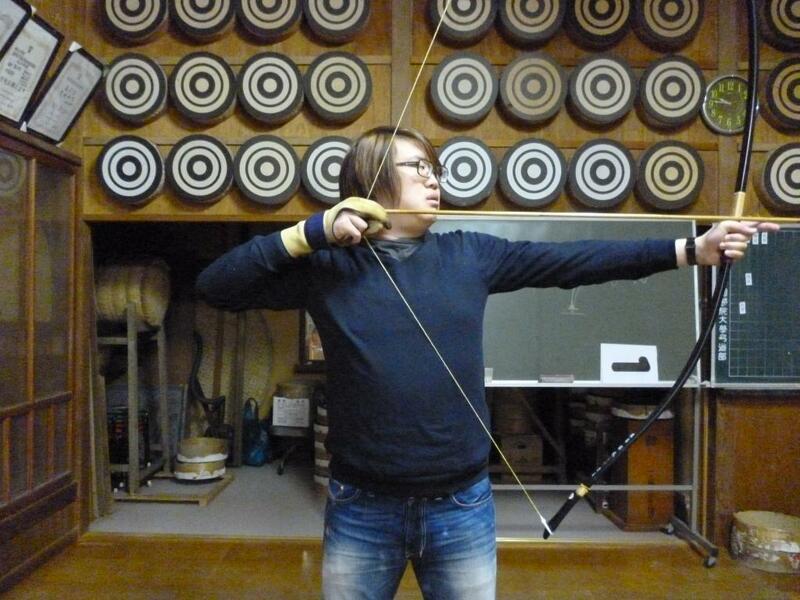 He will then demonstrate Japanese archery for the guests to observe. If time allows, guests can try drawing bows and shooting arrows. From Yudanaka Station(Nagano Dentetsu Nagano Line), Walk down Route 342, cross the bridge, turn right at the "T" and Uotoshi will be on the left (550m, 6 min. on foot). From Shinshu-Nakano IC, Go straight on to Route 29 / 292 and proceed 10km to the Togari-Yudanaka IC. From the offramp, turn left, cross the bridge and at the signal, turn right and proceed southeast along the river. At the 'Yudanaka Sta.' signal (1km from the bridge), turn right, recross the river, and at the "T", turn right. Uotoshi will be on your left.